Hard Water? Iron? Sulphur? Bacteria? - We can help! Mark brings 18 years of Experience in the Water Treatment Industry. 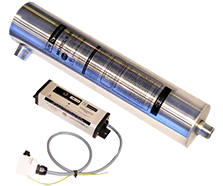 If you are experiencing “hard water” problems such as calcium, magnesium or other minerals in your water, then a water softener is your solution. Reverse Osmosis is a process which removes 95-98% of all impurities in the water. Injects air into the water to remove iron and sulphur. Set it and forget it. No filters to change. No chemicals to buy. Enjoy Conditioned Water in Your Home Today!